How to Make Bow Tie . Nowadays every man should know how to tie a bow and-and how to wear it.The reason is simple, that bow ties are really trendy these days as it gives a new dimension to your personality.These ties can be worn for many occasions for example wedding, birthday party, date night , at church , religious attending , at work. Nowadays bow ties are not only worn with formal suits. 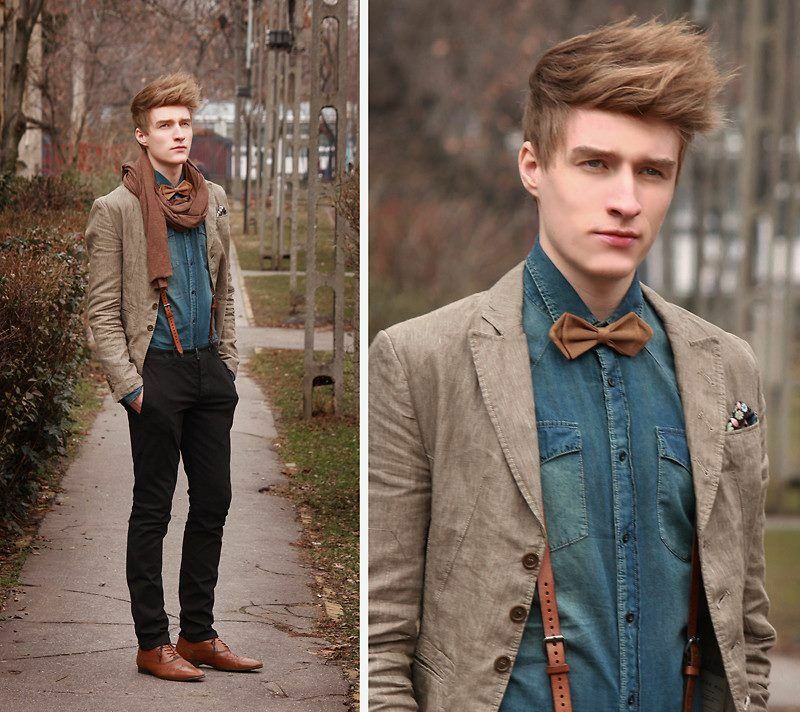 Top men fashion bloggers and designers have given a new dimension to men fashion by combining bow ties with casual outfits and street style outfits too. Having said that all, it is very important that you should able to make a bow tie easily and know how to wear with different outfits to get a sharp look. Keeping this in mind,this post intends to focus on 3 main parts that deal with everything you need to know about men’s bow tie fashion. First, we bring 2 easy tutorials for you so that you follow these simple step to make bow tie quickly. Secondly, what are latest style bow ties which are very popular these days among fashion bloggers and celebrities? And lastly, we give you 16 awesome ideas how to match these bow ties with different outfits to get a sharp look. Bow ties are available in a variety of different colors and patterns. Following are different types of formal bow ties that you can get inspiration from. One that is in deep yellow color with dark brown polka dots on it. Luckily, bow tie also come in different types and sizes. This gives the buyer a large variety of pantry to choose from in accordance to your outfit and occasion. Following are different types of fun party bow ties for you to get inspiration from. If it is winters and you are planning to wear gray colored cardigan or sweater inside your classic blue colored formal pant coat suit then go for a blue and gray colored bow tie with matching handkerchief in the front pocket. For shoes, you can always wear brown colored oxford shoes. For guys who prefer matte and other lighter shade outfits, this is a really nice and refreshing look. Simply go for the light purple colored small plaid pattern bow tie and wear gray colored formal pant and formal coat. For the bow tie go for dark or deep purple colored single loop bow tie and don’t forget to add gray colored handkerchief in the front pocket. A really nice outfit for attending weddings or even for grooms themselves. This sea green and the dark blue combo is the best combination for Winters. For this outfit, you need to wear sea green colored, well tailored formal pant and coat suit and wear it with the plain white shirt. For bow tie, go for dark blue colored bow tie in silk material and wear matching belt with it. This outfit idea is for red carpets or for your wedding day. This outfit is all about wearing silk pant coat suit and silk bow tie. For a classic color combination, you can wear white colored formal pleated shirt with black silk pant coat with silk bow tie and white handkerchief. If you are into jeans and you love to incorporate them into your daily formal dressings then this next outfit inspirational idea is perfect for you. For pants go for denim with a formal shirt, tucked all the way in. For coat go for any funky colored coat and then add bow tie in opposite color. 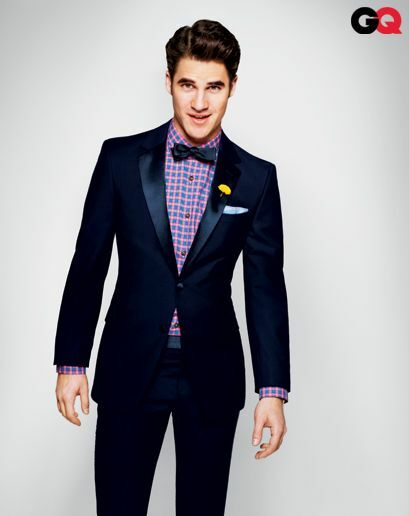 For example with this combo, you can wear a dark blue colored bow tie to perfect the whole look. Oh and don’t forget to wear green and white colored sneakers. Another option for you is to go for velvet coat in black. This look is perfect for wedding days and also for someone who is a little darker in skin tone. Velvet is also a great fabric choice for skinny guys as they carry it really well. For a perfect and matching combo, you can wear black colored formal pants with a black waistcoat and velvet coat in black color. For bow tie and handkerchief go for silk material for make it look prominent on the coat and shirt. For shoes, the best option is the wear brown colored oxford shoes. Nice Blog.Really interesting to read.Thanks for sharing.